Do Have an Rinnai Hot Water System? Is Your Hot Water System In Need Of Repair? RInnai was founded internationally in 1920. A well established and trusted company that provide gas, electric and solar hot water systems. With over 70 years in the Australian market Rinnai understand our climate and conditions. The Rinnai hot water system range includes; commercial and domestic gas continuous flow, heat pump hot water, solar powered hot water, solar boosters and advanced hot water temperature controllers. It operates only when the hot tap is turned on and only if the tank water is below 60 degrees. Available in Natural Gas, LPG Gas and Electric. Continuous flow booster ensures an endless flow of hot water regardless of whether or not the sun is shining. It is an environmentally friendly way to boost the water temperature if required. All RInnai Hot Water Units are covered by a warranty. The Rinnai hot water system are well known for their reliability and durability backed by 5 and 10 year cylinder warranties nationwide. If you’re looking for a high quality hot water system that has been built to last and one that is efficient and designed specifically for the Australian climate conditions then you can’t go past an Rinnai. Rinnai have proven themselves in providing a competitive hot water system and have won many industry awards over the years for their superior quality and efficiency. With many models in their range of stainless steel storage hot water systems, Rinnai is the perfect hot water system for you home or business. Which Rinnai Hot Water System Is Right For You? When selecting a new hot water system you need to consider the size and layout of your property, how many people will be using hot water and when, how you use hot water and the type of power that is available to you to make the right decision. The last thing that you want is a hot water system that is too small or too large for your property which can result in too many cold showers or extremely high energy bills. It is highly recommended to receive expert advice on the ideal hot water system for your home. For a free, no obligation quote on the supply and installation of your perfect hot water system contact Inner City Plumbing on 1300 668 834. Are mains pressure water heaters that allow you to maintain constant hot water pressure regardless of the amount of hot water outlets being used in your home at one time. The cylinder is made of welded steel and protected by a strong color bond casing that enhances its performance. Rinnai back this with a 5 year warranty on the cylinder. 5 star energy efficiency rating. Use more than one tap at the same time. The Rinnai Hot Water System are solar compatible and an Rinnai solar kit is available for easy conversion. If Rinnai hot water system is the hot water unit you would like to know more about, or to receive expert advice and a free, no obligation quote on the ideal hot water system for your home or business then call the hot water specialists from Inner City Plumbing. We provide a same day service and installation. Our team of professional and fully qualified Melbourne plumbers are situated across all Melbourne metropolitan suburbs. Our plumbing services are available 24 hours a day, 7 days a week, including all public holidays. Simply book a plumber online now, or phone 1300 668 834 to book now. Our vans are fully stocked with all the latest equipment and our licensed Melbourne Plumbers can provide professional services at all times. 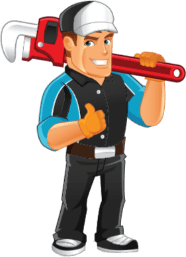 When you need a 24 hour plumber Melbourne to fix your Rinnai Hot Water System, you want to be sure that the Melbourne emergency plumber you are calling will be available. Inner City Plumbing know how to deal with a hot water emergency and will not let you down. We have over 20 years of experience in taking care of hot water and plumbing emergencies. We know how to diagnose a problem quickly. 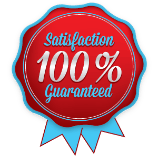 Our 24 hour plumber Melbourne has the experience to take care of your problem quickly. We guarantee that we will have a 24 hour plumber Melbourne at your location within 60 minutes to keep you hot water flowing. With us, you will not be getting a phone call from a lost 24 hour plumber Melbourne asking you for directions. We are your local Rinnai Hot Water System professional. That is why we make sure that every 24 hour emergency plumber we send out is fully equipped with just about everything they need. So call Inner City Plumbing on 1300 668 834 to make sure your hot water system is up and running again fast. Rinnai Hot Water System	Overall rating:	4.6	out of 5 based on 117	reviews.